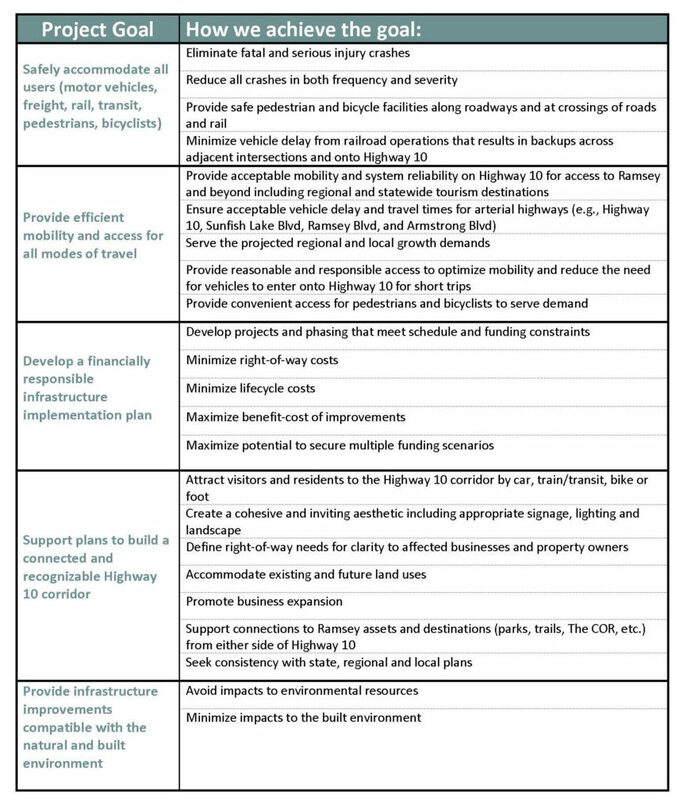 The goals and objectives are intended to align with state and local transportation plans. Multiple objectives associated with each goal exist to provide additional detail on how the goal will be achieved. The goals and objectives are the framework to guide the identification and evaluation of improvement alternatives. The project team is currently refining and evaluating improvement concepts that were first identified in the 2013 Highway 10 Access Planning Study. The refined concepts and evaluation results will be shared with the public at the first Open House planned for early 2019. Click here to learn how Safe Access is Good for Business!